Hey guys! I promised a series of reviews to compensate for my silence in the past weeks and here is one of them. If you've been following my blog for a while now (I love you!!! ), you'd probably know how I'm wrapped up with skin care. I had a serious case of pimple breakouts in the past that I luckily got out of. Getting over that ordeal inspired me to take care of my skin all the time which is probably the main reason for my obsession on anything skin care related. My most favorite indulgence is having a facial which I often fail to do regularly. Good thing my loving husband gifted me with a Clarisonic, the pioneer in sonic skin cleansing since 2004. The downside to owning this most coveted skincare tool is availability of the replacement brush head. If you live in Manila, you can only buy it online which brings me to another con, the price can go way up due to added shipment fee and customs tax. Now there are ways to avoid the hyped price and one of them is to have relatives or friends from abroad buy for you. Want to save even more? 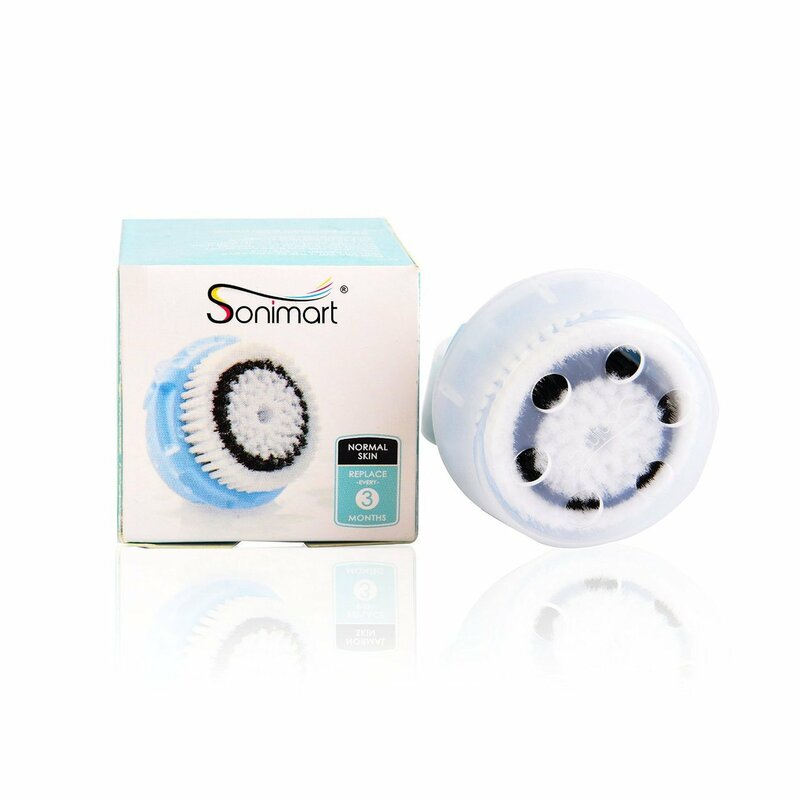 You can buy replacement brush heads designed for compatibility with Clarisonic like the ones manufactured by Sonimart. Sonimart is a company in the US that's been manufacturing high quality toothbrush heads at low affordable prices for eight years now. They eventually started producing facebrush heads specifically designed to fit different Clarisonic devices such as the Mia2, MiaFirst and Aria. Like the Clarisonic, Sonimart came with a snap-on plastic cap. At first glance, I couldn't even tell the difference. I would've believed it was a Clarisonic replacement brush if not for the label on the cap. 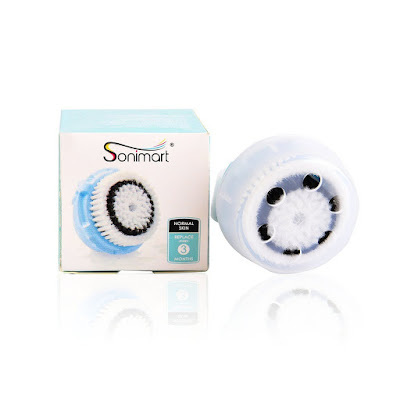 The next images will show you both Clarisonic and Sonimart side by side for a better comparison. When seen next to each other, the Clarisonic and Sonimart brush heads look so similar. The only thing that gave them away was the embossed label on the cap. The Clarisonic has an image of a lady while the Sonimart has a name on the cap. I've had trouble keeping the cap of my Clarisonic in place which for me was a minor drawback until I got the Sonimart which comes with a cap that perfectly fits the brush. Looking at the brush even with the discoloration, you'd still think they're the same brand. Appearance is one thing but compatibility with the device and performance are the things that really matter. I'm glad to say that the Sonimart fits my Clarisonic Mia impeccably. More so, the Sonimart brush head works perfectly with the Clarisonic. 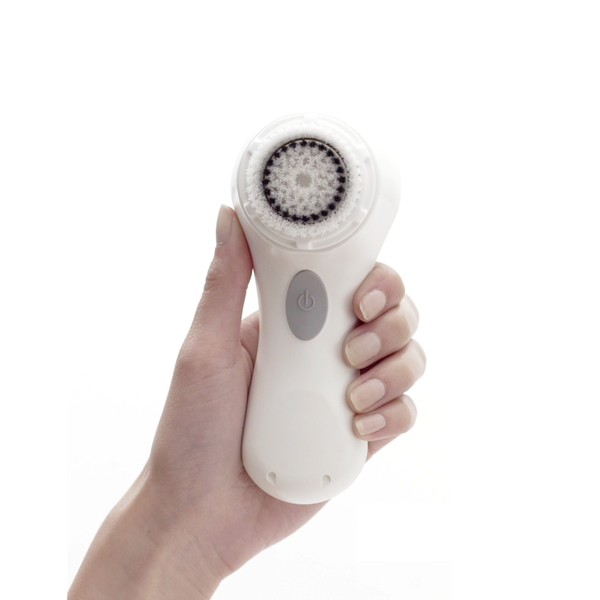 The brush responds well to Clarisonic's patented sonic frequency of 200 to 350 movements per second. The bristles feel so soothing on my skin, not at all rough or irritating. I love feeling freshly clean after every use. The Sonimart also comes with different varieties depending on your skin type. I got the brush heads for sensitive skin and they also have brush heads for normal, acne, deep pore and delicate cleansing. Overall, the Sonimart replacement brush head is truly comparable to the performance of the Clarisonic facebrush head. It looks, feels and performs exactly like the Clarisonic you couldn't even tell the difference. It's definitely an excellent substitute for the Clarisonic especially when you want to save a little without compromising quality and performance. The disadvantage? If you're from Manila, you can only purchase the Sonimart online. The good thing is, they're priced at a much lower value of $11.95 per pack of 2 compared to the Clarisonic ($54 per twin pack) so you can save more. That's about everything! If you have any questions or comments feel free to leave them on the comments section below. Thank you for making it this far and have a wonderful day ahead!